Oct. 17, 2017 8:45 a.m. Her voice is shaky, a tremor that developed from stress that belies the strength of a desperate mother. 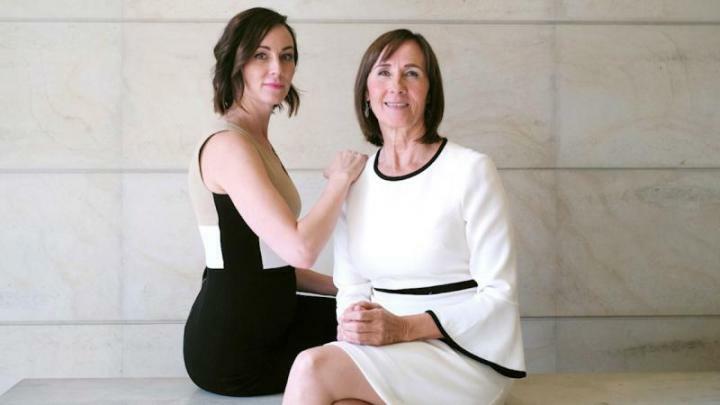 To say that Lorinda Stewart lived through agony barely gets at the horrific ordeal she endured during the 460 days her daughter Amanda Lindhout was a hostage to ransom-demanding thugs in Somalia. Nor would it be right to assume the nightmare ended with their reunification. It was, in fact, just another beginning. “I had all these expectations of when Amanda came home of parties and joy and actually, I had a pretty huge breakdown. Nothing was what I thought it would be,” Stewart said in an interview Tuesday. The crashing reality of that moment — it would take therapy and many months before the endless crying and depression began lifting — is one of several that Stewart, 61, recounts in her just published memoir, “One Day Closer,” a harrowing, soul-baring account of her quest to get her daughter home — a story that leaves the reader feeling aged with each page at the brutality of it all. Lindhout, now 36, was a seasoned traveller and budding freelance journalist when she and Australian photographer Nigel Brennan were grabbed in the capital of Somalia, Mogadishu. It was supposed to get sorted quickly, but the kidnappers were demanding millions of dollars — an amount far beyond the families’ ability to pay. Stewart, under the close eye of the RCMP who cocooned her in a cone of absolute secrecy, became the lead negotiator, moving back to Alberta from B.C. where she had been living. Negotiating meant talking frequently with a man known to her as Adam — the pipeline and lifeline to a daughter, whose protracted mistreatment was shocking to the point of sadistic. Through it all, Stewart gathered binders of materials, including recordings of intercepts of calls with Adam that underpin the book. Dark points, she said, were many. Among the worst was hearing the rumour that her captive daughter was pregnant. And the “bad call,” months into the hostage-taking, in which her distraught daughter called to beg her to pay her captors off. They were torturing her, Lindhout told her helpless mother. Her murder was imminent. Stewart catches her breath. Her eyes go somewhere else. “One Day Closer,” published by Simon and Schuster, goes beyond the inner turmoil of a mother’s despair. Stewart also offers an at-times unflattering but eminently relatable portrayal of her own life, the poor partner choices she made, the strained and broken family dynamics, the struggles as a single or sometimes married mother from small-town Alberta, raising five children, making ends meet however she could. It is in her strength and obstinacy that one sees the qualities that helped her daughter survive the sexual assaults, the torment, the despair. The reality included living a secret life in a house in Sylvan Lake, Alta., 24/7 for months with a rotating cast of RCMP officers, who acted as her negotiating mentors, support, and liaison with what emerges as a faceless, distant entity: Ottawa. While she speaks highly of the Mounties who lived with her in the home they rented, Stewart has little time for the shadowy string-pullers in the nation’s capital. She trusted them entirely, she said. She did everything they asked. And yet, she said, they lied to her at times, told her little, kept insisting she hold the faith because they were making progress. Then they dropped her like a hot potato when things dragged on, leaving her and her ex-husband to find a private consulting company to help secure her daughter’s freedom, Stewart said. Gone was not only the emotional support, but also the money the government gave her to devote herself to being a secret agent. In contrast, the private security firm, at a cost of $2,604 a day, kept her fully informed and involved every step of the way, she said. But with the Canadian government refusing to pay any ransom, raising the more than $600,000 the two families ultimately needed to free their children, meant ongoing desperation, a sell-off of assets and home refinancing, along with reliance on the generosity of friends and strangers. The crash came when she realized how frail and sick her daughter was. The dawning reality that they both had a long journey and healing ahead of them — healing that still continues. People, she said, couldn’t understand the non-stop crying, why there appeared to be so little joy, why she had hit that wall so hard. Time, coupled with therapy, would ultimately set her on a path to healing — a still unfinished journey of which the book is a cathartic part. In recent days, both mother and daughter have been following the accounts of Canadian Joshua Boyle and his American wife Caitlan Coleman, who were freed last week along with their three children born during five years of captivity in Afghanistan. Stewart advises the ex-hostages’ parents to be kind and gentle to themselves, not fight the torrent of conflicted emotions that might include immense sadness even though everyone is now safe. Therapy is a big part of that, she says. Lindhout suggests Boyle and Coleman get away from the spotlight, find the time to enjoy the sky. In June 2015, police in Ottawa arrested Adam — Somali national Ali Omar Ader. He is currently on trial for his alleged role in Lindhout’s kidnapping.